Basically iOS apps are organised with MVC(Model-View-Controller) design pattern not actual MVC. Model — It’s just a data access layer includes Network and Database data handling. 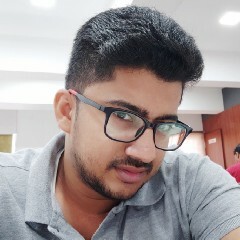 Flutter has four options to create a ListView. Let’s walk through it one by one. In Android, UI is structured by layouts. It can be bind to an Activity, Fragment or Dialogue.All the widgets in the xml has been built using View hierarchy. Through this we are creating components like Button, EditText and RecylerView etc.